Vladimir “Vanja” Grbić is a former Serbian volleyball player. He is 193 cm and played as passer-side attacker. Grbić was born in Klek in Serbia. He is Nikola Grbić’s brother and member of the Volleyball Hall of Fame. With the national volleyball team of FR Yugoslavia, he won a gold medal in the 2000 Summer Olympics and a bronze medal in 1996 at Atlanta. His international victories include a silver medal in the 1998 World Championship and a gold medal in the 2001 European Championship. 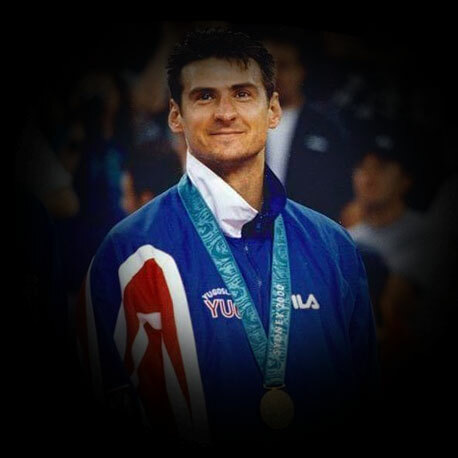 Yugoslav Olympic Committee has declared him for the best sportsman of the year in 1996 and 2000, and in the 1999 and 2000, he received a Golden Badge, award for best athlete in Yugoslavia.